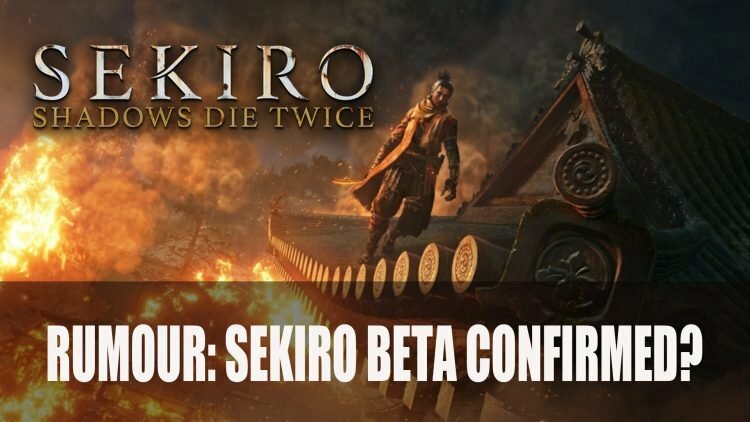 The internet are at it again, through some quick posting on Reddit, fans of Sekiro: Shadows Die Twice might have caught a confirmation for the Sekiro beta. While no official announcement has been given by FromSoftware or Activision, let’s take a look at what information was shared in the prematurely posted tweet. To confirm this is in fact a real tweet, if you search for “Sekiro beta” in a Google search the original tweet is still up in the search listing but the link of course does not work anymore. If they are indeed having a beta soon, it looks like it’s invite only, as there hasn’t been an official announcement concerning a date or time. 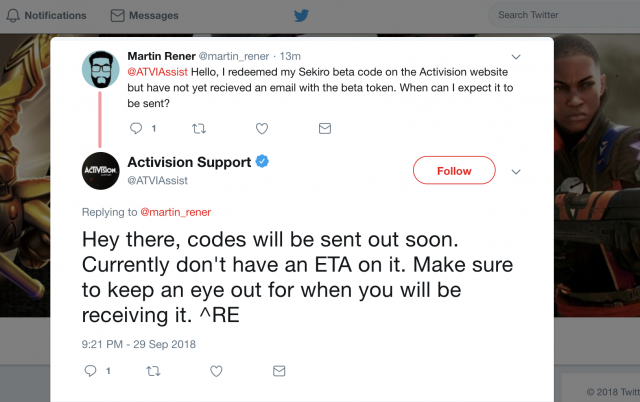 Reddit users have speculated that beta is in conjunction with pre-ordering but no confirmation has come from Activision or FromSoftware at this point. We’re curious to know what will be involved in the beta and if there are any updates since our hands-on gameplay at Gamescom 2018 and most recently at the Tokyo Game Show 2018. As usual we will keep you updated with any information that comes our way. Sekiro: Shadows Die Twice will be releasing next year on March 22nd 2019 on Playstation 4, Xbox One and PC. If you’re looking for some more Sekiro read about it here in TGS Sekiro Trailer Reveals Spear, Wall Jumping, Hidden Walls & More and Sekiro: The Evolution Of Souls. You can also visit our Sekiro wiki which we will be updating with all the latest info regarding the Sekiro Beta as it is released.